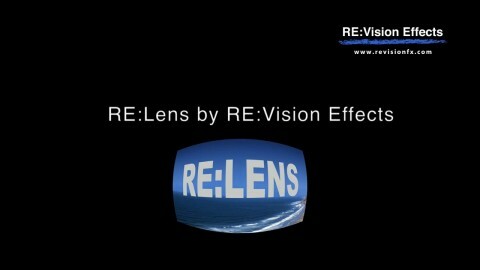 See what RE:Lens™ can do for you! RE:Lens 360 VR and fisheye stabilization. Also view before/example 360 movie. Feature currently not available for Premiere Pro. Short dance reframed/composed and camerawork with RE:Lens. Shoot with a single camera with a superfish lens and convert the video to LatLong format suitable for use with 360 VR viewers. With the proper lens and camera setup, stitching can often be eliminated from your 360 workflow. 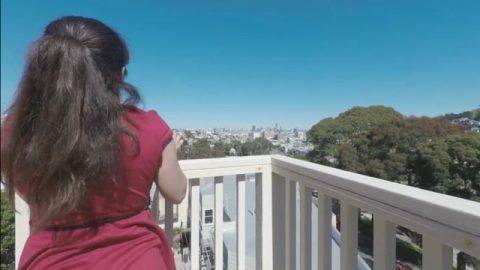 Capture super wide-angle shots with large resolution, then straighten and animate camera rotations and zooms in post, providing greater flexibility when directing the viewer’s attention. Even create two separate virtual views using a single camera! RE:Lens handles rectilinear, latitude longitude (equirectangular 360 panoramic VR), fisheye, super fisheye, super wide-angle zoom, little planet, mirror ball and parabolic lens-mirror projection formats. Option to automatically soften or sharpen adaptively (depending on how the projection squeezed or stretched that section of the image). Proper perspective correction controls for wide-angle lenses. Handles normal pincushion and barrel corrections for super wide-angle, often at extremes of zoom lenses. Option to reduce over-stretched corners (unflatten) when generating super wide field-of-view outputs. Convert 180 or 360 to fisheye for dome projection. Full fisheye to fisheye transform chain with FOV control. Undistortion controls to better define shape of non-equidistant fisheye lenses. Note if using Premiere Pro CS6, you will need to use 6.0.5 or later. License works with After Effects, DaVinci Resolve, Final Cut Pro, Fusion Studio, HitFilm, Motion, Natron, Nuke, Premiere Pro, Scratch, and Silhouette.